Click here to see the rest of the winners! Order your CD today! Simply click HERE and we’ll take you to our store. Or, if you prefer, click the “Store” link above. The boys are back with an incredible new record! The latest in their ongoing series of amazing bluegrass tribute records is none other than the infamous Lady Gaga! 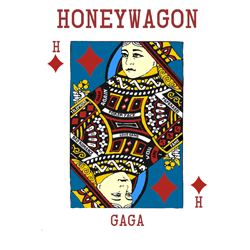 Honeywagon has taken on some of her biggest hits like “Poker Face”, “Telephone”, “Just Dance” and “You and I” and given these tunes their trademark bluegrass treatment! On this record they even got some A-list help from country legend Neal McCoy and pop star Lisa Loeb. These iconic voices came into the studio to sing lead on a couple of tunes and the results are spectacular!